Buenos días! Los cerezos se lo han tomado con calma pero por fin han florecido! Hoy os enseño nuestro paseo alrededor de Tidal Basin, una especie de lago conectado al río, que está rodeado de cerezos y en estas fechas atrae a todos los curiosos que quieren ver las flores. Esto fue un par de días antes de que abrieran del todo, y aunque no todas las flores habían abierto tenían un tono rosa precioso! Good morning! 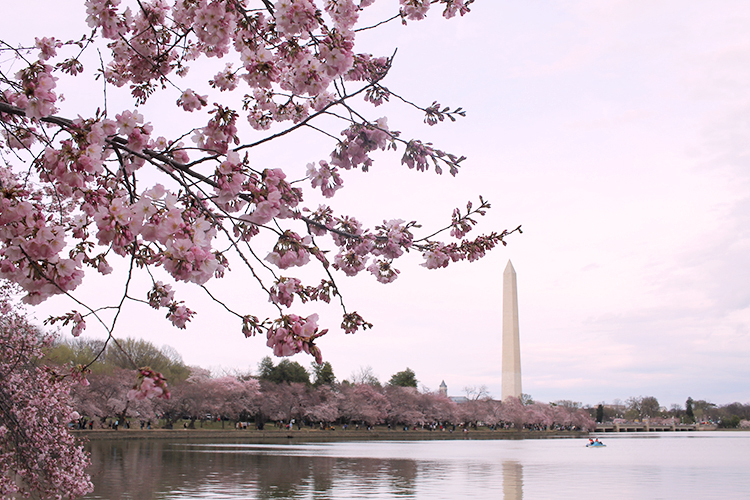 The cherry trees took it easy, but finally we could see the blossom! 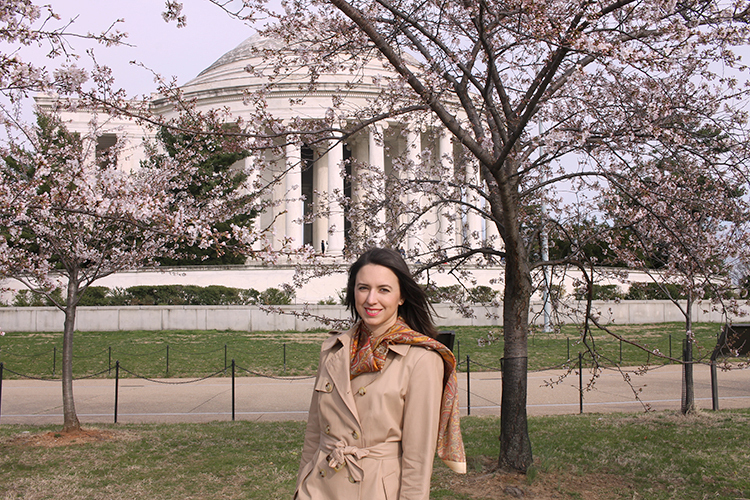 Today I´m showing you our walk around the Tidal Basin, which is surrounded by cherry trees and attracts everyone who wants to see the flowers. 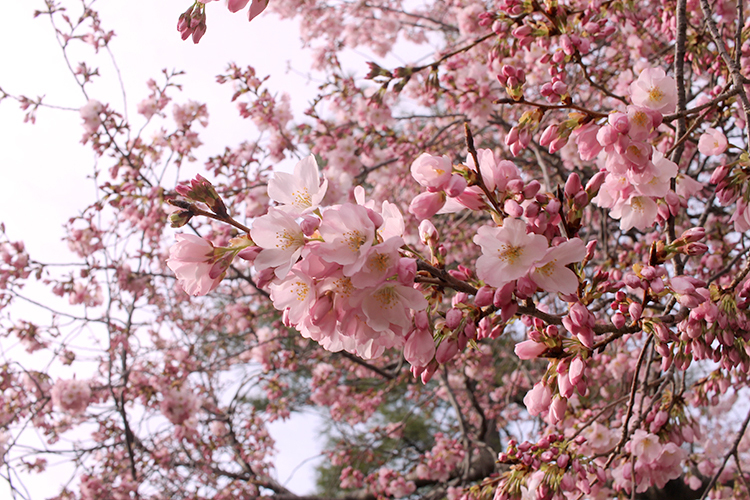 This was a couple of days before they reach the peak, not all of them had blossomed, but they had a lovely pink color. 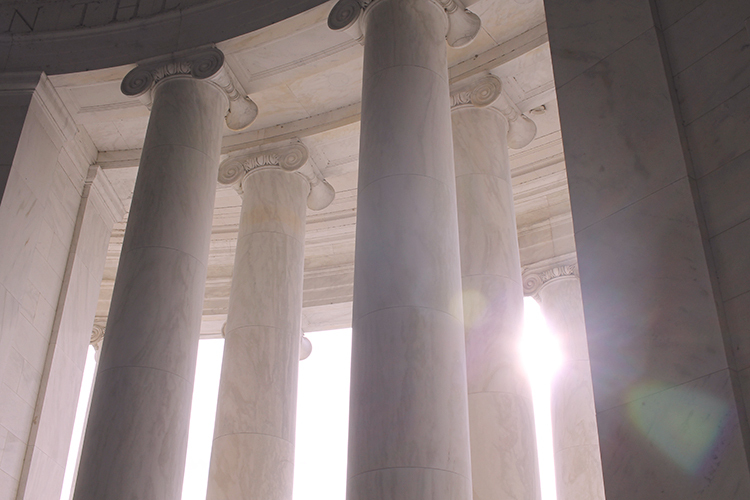 Comenzamos en el Thomas Jefferson memorial, el monumento mas llamativo de el lago, en honor a este presidente de Estados Unidos. 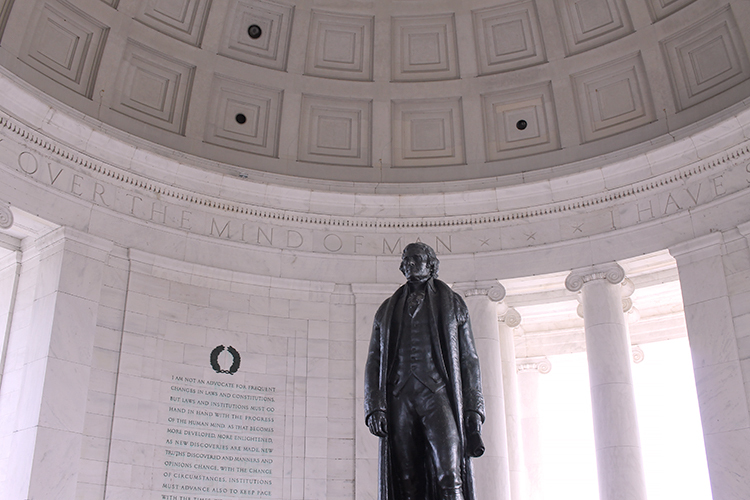 We start at Thomas Jefferson memorial, the main landmark by the Basin. Desde esta orilla se ven todos los cerezos que lo rodean y el Washington Monument al fondo. 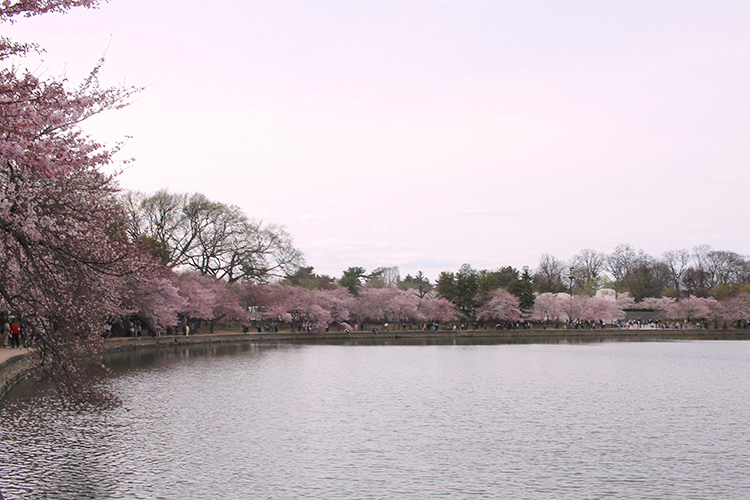 From this side you can see all the trees around and the Washington Monument behind. Desde el puentecito de Ohio Dr. se puede ve todo el lago y el río Potomac al otro lado. 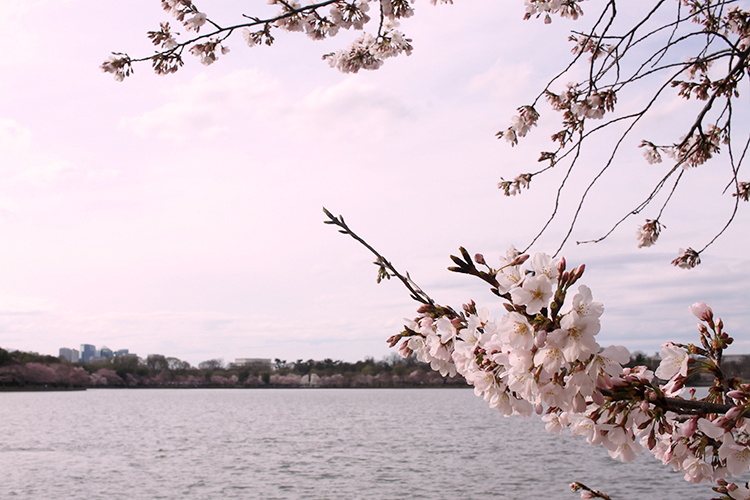 From the small Ohio Dr. bridge you can see the whole Tidal Basin and the Potomac river on the other side. 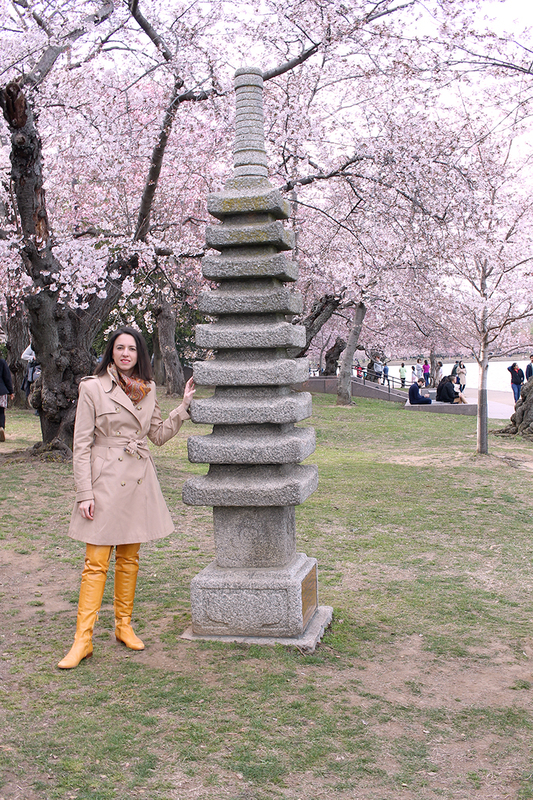 La escultura de la Pagoda Japonesa fue un regalo de Japón, al igual que los cerezos. 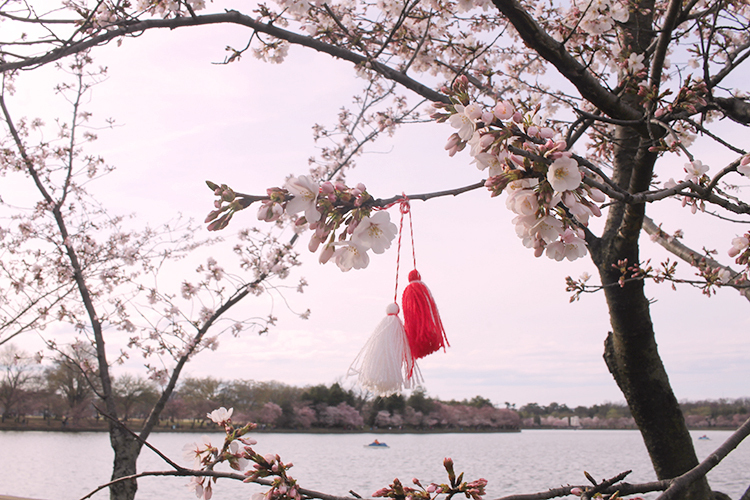 The Japanese Pagoda, like the cherry trees, was a gift from Japan. Muy cerca está el Roosevelt memorial, salpicado de cerezos. 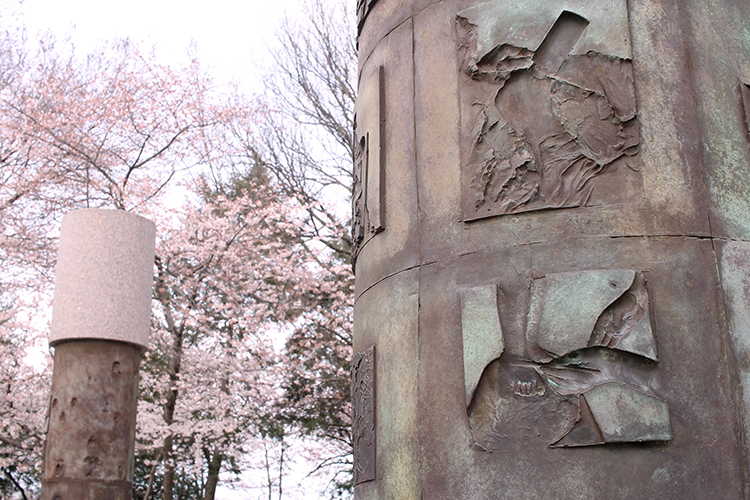 The Roosevelt memorial is a few steps away. 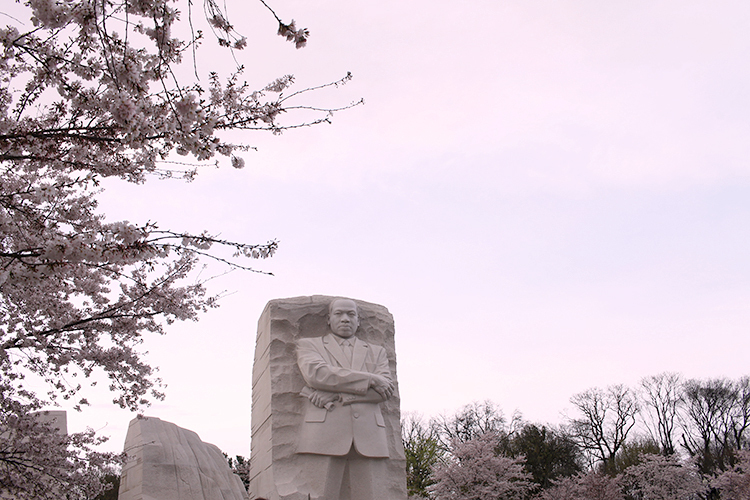 Y el monumento dedicado a Martin Luther King Jr.
And nearby is the Martin Luther King Jr. memorial. 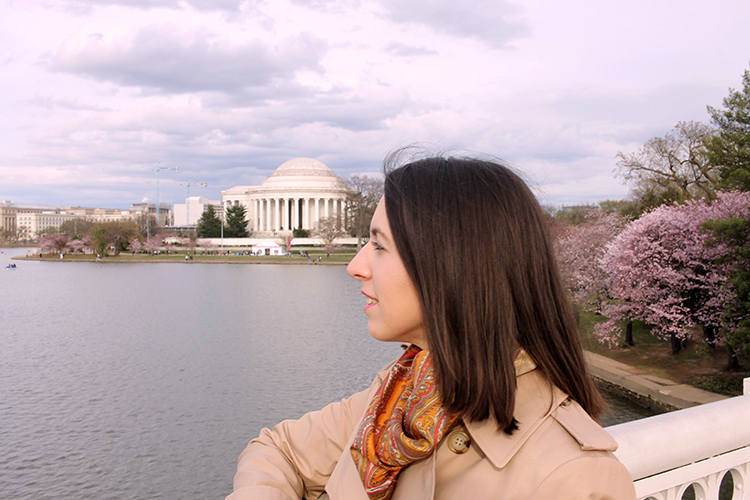 Estad atentos que pronto os cuento un poco mas del National Cherry Blossom Festival! 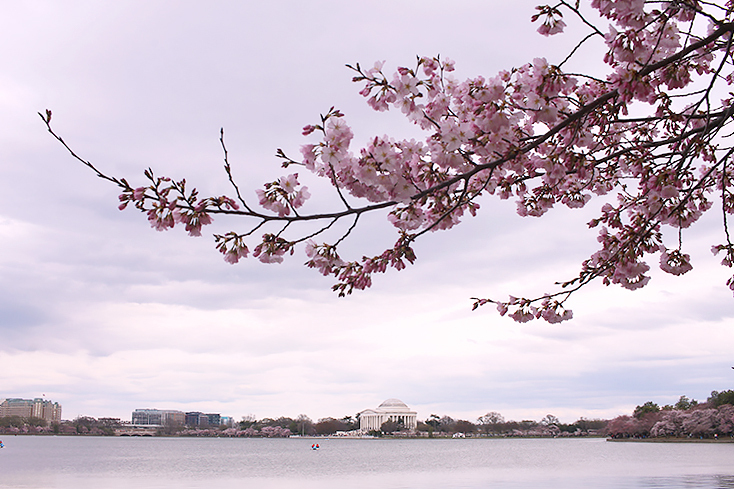 I will tell you more about the National Cherry Blossom Festival very soon! LO PEOR/THE WORST: Que estaba muy nublado y algunos árboles todavía no habían florecido / It was really cloudy and some trees hadn't reach the blossom peak yet. Conocéis la zona de Tidal Basin? Os gustaría ir? Contadme en comentarios! 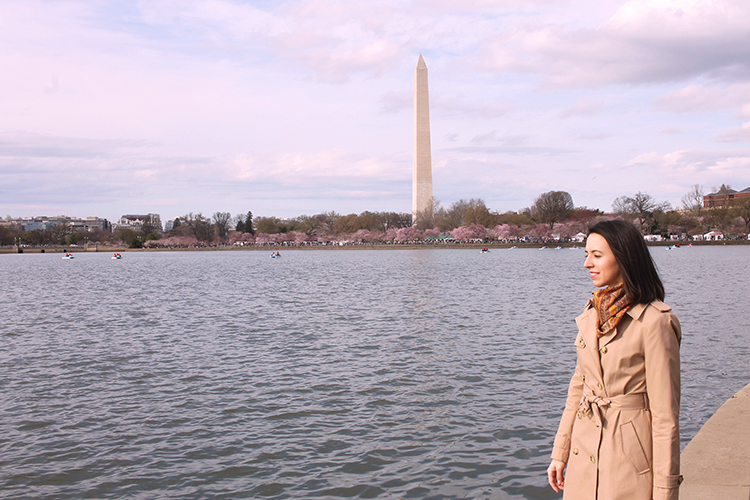 Have you ever been to the Tidal Basin? Would you like to visit? Tell me in comments! How incredible! That must have been so amazing to see in person. 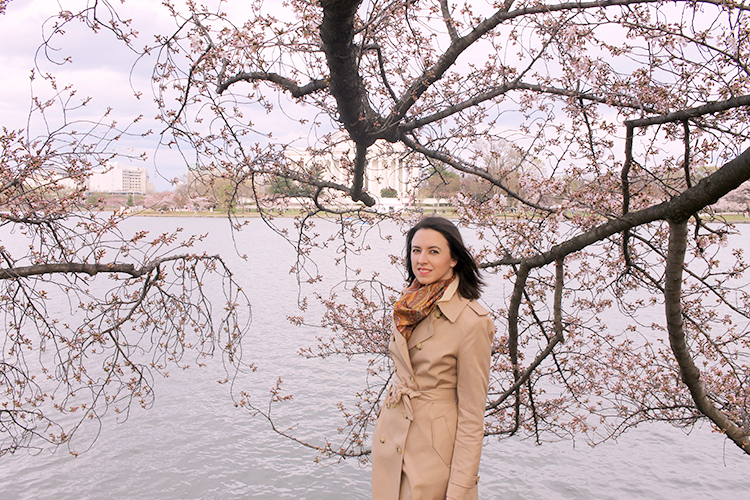 The cherry blossom trees are just stunning. This is so pretty! and your boots look amazing! q maravilla, tiene q ser increíble! Love the pretty blossom. Wish I could be there live to see it/smell it because it's absolutely beautiful in photos.